For in that comes a further openness to your Purity, your True Divine Essence, your Oneness with All That is, that is being played out in continual harmony and progression, constantly replacing and clarifying and purifying your former versions of your Being, as you open to your expansion, relishing all the clarity, insights and understandings coming along with it. It is as if you are working on a painting, and with each new addition and enhancement, more beauty and clarity is coming to the forefront, constantly changing the whole picture as you allow each new layer and element to evolve. You are a beautiful masterful work in progress, and lately you may notice that the depth and clarity of your new perspectives are amazing. It is as if you are looking through the brand new eyes of a new-born, to discover everything that is there in a brand new way. It is as if you never saw it before in quite that light. And indeed you haven’t, for you are entering a new platform for you to operate from, and now lies before you the task of discovering all that is available in this new world you are creating, in this new dimension you have embraced. You have been presented with a whole new set of tools to navigate this new world, and it will take some practice and acceptance to fully explore them. This is what you have been waiting for; this is what you have been working on for so long, and it will just get more and more astounding and enriching as you keep building on this Moment of Clarity that you are embracing. Sit with this thought and truth right now: You are in possession of all you need to stay in the higher dimensions, coloring and influencing your whole existence each moment that you sustain this experience. It is a subtle yet profound movement and you are being offered the opportunity now to allow yourselves to be lifted and sustained on this new current or higher dimensional “airstream”, sweeping you along to new experiences and perceptions. So allow yourselves to continue to be lifted, as the incoming Light of the coming days will bring more revealing glimpses into this new version of you. You are becoming Beacons of Christ Consciousness, lighting the way for all. 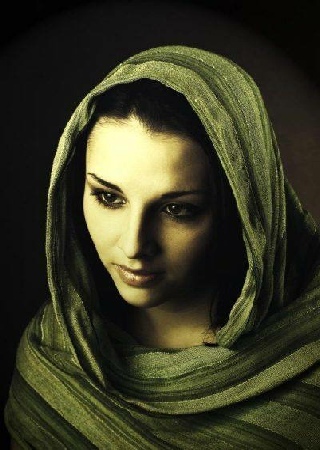 I AM Mary Magdalene, in Pure Love Essence. This entry was posted in Ascended Masters Messages, Fran's Channeled Messages, Mary Magdalene and tagged Channeled Message August 6 2015, Christ Consciousness, Fran Zepeda, I AM Presence, Lion's Gate, Magdalen Gateway, Mary Magdalen, True Divine Essence. Bookmark the permalink.